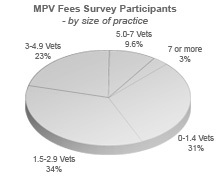 The MPV Performance Survey is a survey that focuses solely on the revenue performance of veterinary practices. It collects information of major areas of income: Gross income, veterinary services, veterinary medications, merchandising and non-veterinary income. This information is collated using the number of client attending the practice and veterinary hours worked. Once complete it means a practice manager can identify how their practice is performing on a gross revenue level, on a per client level, and on a per veterinary hours worked basis. This is a great survey for determining revenue KPI’s. In veterinary practice we spend a significant part of our life looking after patients. Generally we do not know how our performance compares to the rest of the industry! The only way to find out how your practice is performing is by benchmarking your performance with the rest of the veterinary industry. The purpose is to allow veterinary practices to collect a number of key statistics on revenue based items that are meaningful to the management of a practice. Once compiled, these performance statistics are benchmarked against other practices that are of similar profile groups. Participants will be able to clearly measure performance in revenue for the gross business, on a per client basis and per vet basis. Using only 12 basic key statistics to produce a clear and meaningful analysis of your practice performance. Compares gross turnover, veterinary fees, merchandising fees. Compares veterinarians, clients and growth rates. Allows you to select which practice types you wish to be benchmarked against. Delivers meaningful reports that are practical and easily read by practice managers. 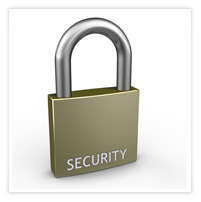 Low cost, many benefits and total confidentiality! The beauty of a performance survey such as this is that there are many benefits on offer with no risk. What valuable results will I receive? 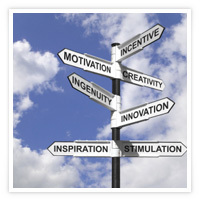 MPV Consulting will calculate your extended key performance indicators for you. That MPV Consulting surveys requires that each participating practice specifies what sort of clinic that they operate for the purposes of benchmarking.